This jacket is known as a Spencer, named after the Earl Spencer who purportedly singed the tails of his topcoat standing too near a fire and then started a new trend when he went out with the tails cropped off. 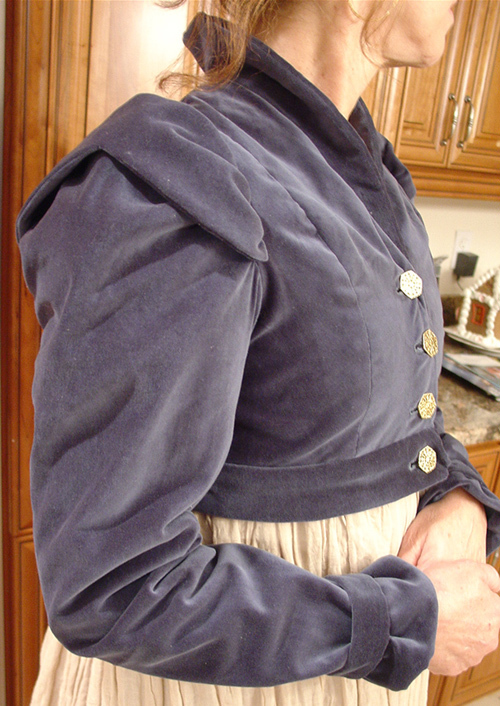 This style was adopted by ladies who wore these short jackets to match the high empire waist style of the gowns and to add a layer of necessary warmth to the diaphanous dresses of the time. 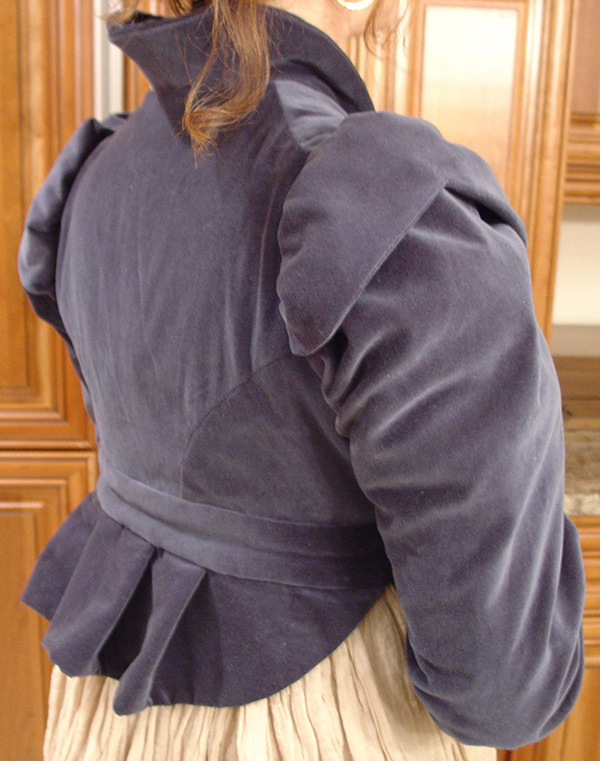 This spencer is crafted of silk velvet in a rich jewel tone so popular for these jackets in period. 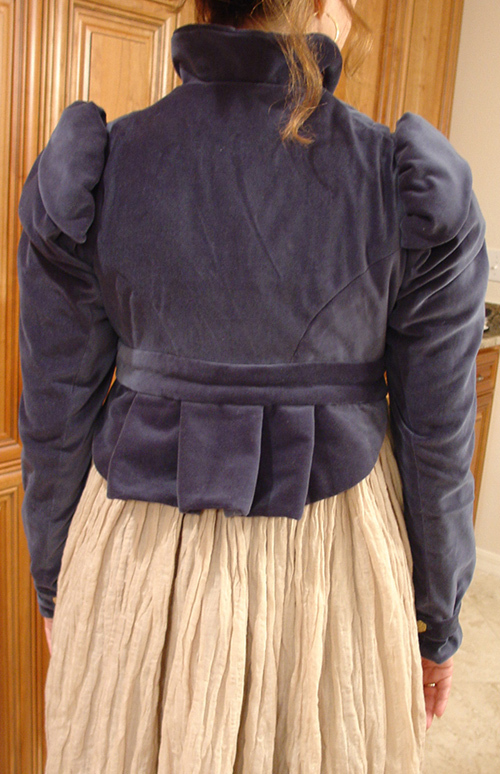 The added sleeve caps, peplum, and standing collar date this spencer to match the late regency period of around 1815. 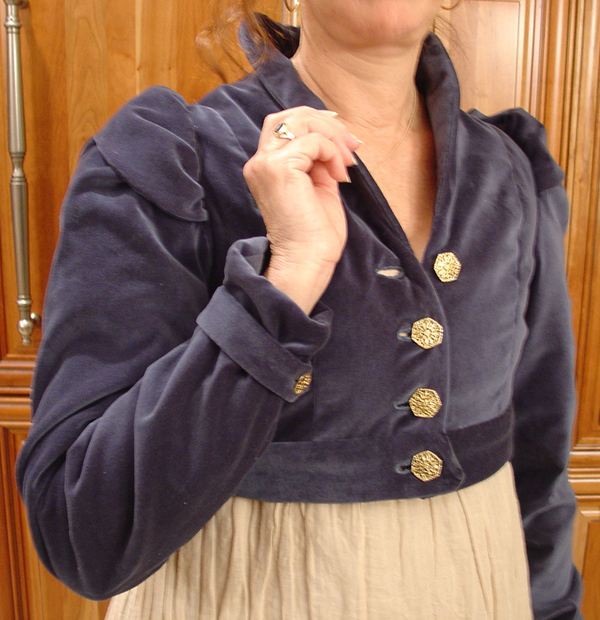 The decorative buttons are reproduction buttons and the jacket is hand finished throughout to add to the authentic look, including hand sewn buttonholes and whip stitched linings. This project was the first spencer I made for my Mom, who wears this for English Country, Scottish Country, and Contra Dance events.